Hans was Team 2539's practice robot for the 2018 Power Up game. This robot is identical to Franz, the competition bot. The team built two, of the exact same robot in order to test and design parts, as well as write code for Franz. Hans was very helpful this season, and the Krypton Cougars have no doubt in the fact that they made a good decision to build two robots for the 2018 season. In fact, this is the first time the team built a practice bot like Hans, as well as a competition bot. 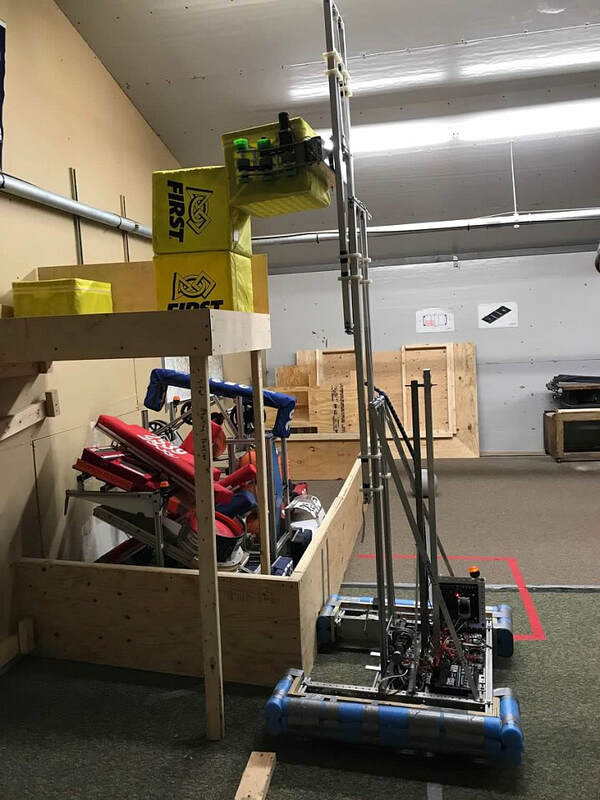 Team 2539 practices at their build site for the 2018 season.